Using prepared dressed crabs makes this recipe so much easier. 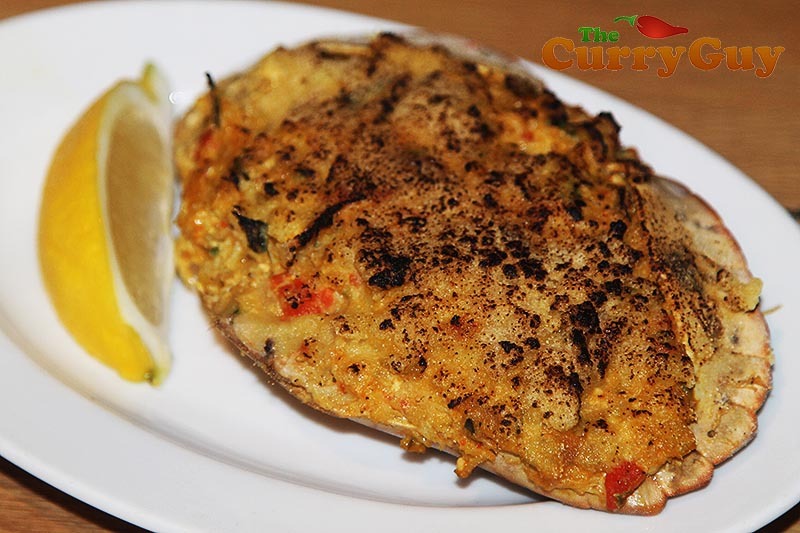 One of my favourite meals when I visit Goa is Goan masala stuffed crab. There, they use small blue crabs or fresh water mud crabs which we can’t get where I live. So for this recipe, I use dressed brown crabs. Ordering dressed crabs from your fishmonger takes away most of the work needed to make this recipe. 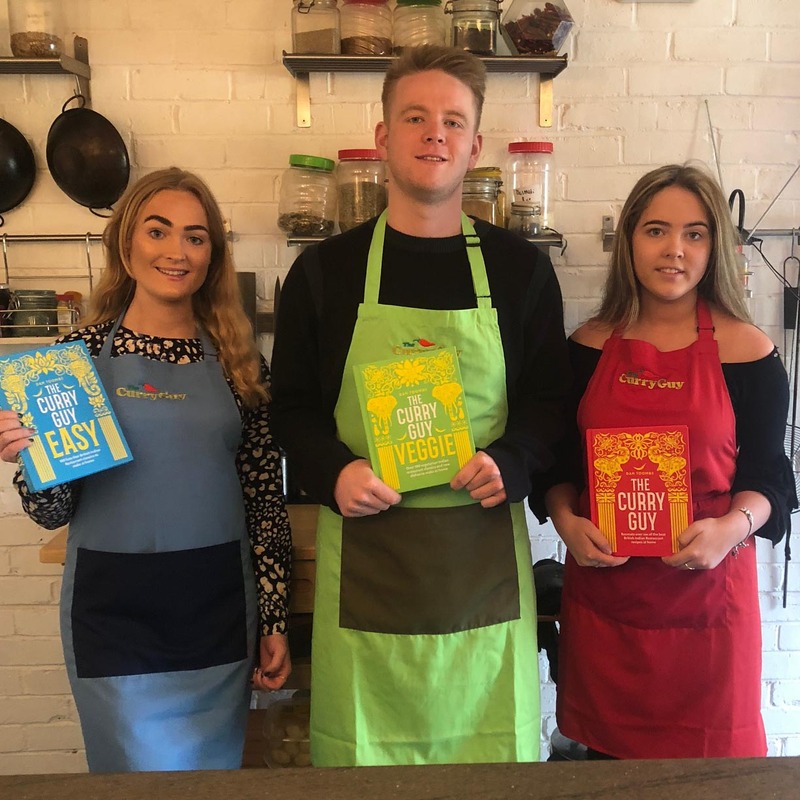 In the warmer months, I usually purchase my crabs live, boil and clean them and pick out all the meat before proceeding with this recipe and cooking them in the BBQ over indirect heat. Brown crabs have a lot of wet, runny brown meat that needs to be thickened. 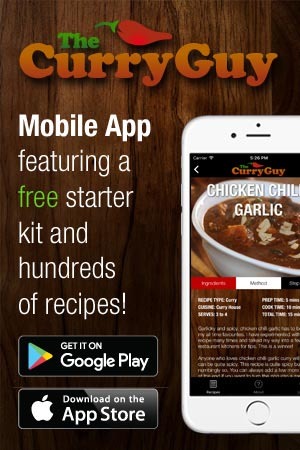 This isn’t the case with all crabs so if cooking from live, you may need to adjust this recipe. 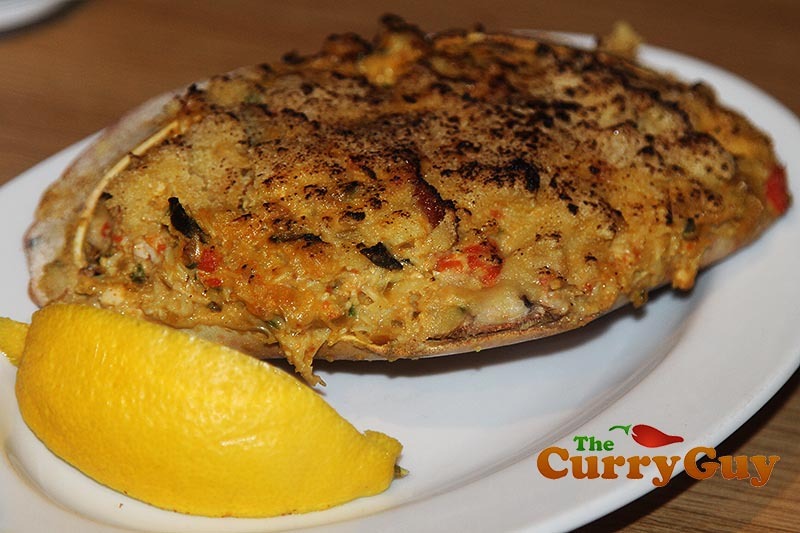 Shop-bought dressed crabs are usually thickened with bread crumbs but you could also boil a medium potato until soft, grate it and add that to the meat mixture instead. 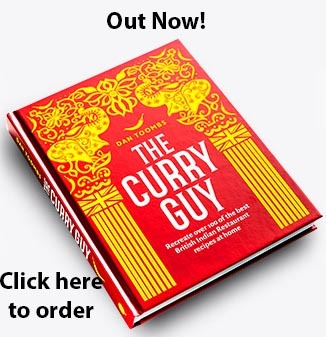 I have experimented with this recipe to make it lighter for a book I am writing. 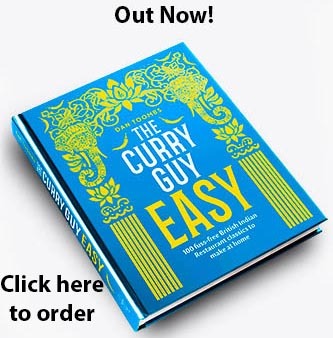 I would love to hear what you think of the new lighter recipe. Obviously, if eating light isn’t something that concerns you, you could always add more oil and butter. Personally, I don’t think you’ll miss the fat with this recipe. There are so many delicious spices and other ingredients in the mix. My dressed crabs just as I purchased them from my fishmonger. As we use less oil, the cooking process takes a little longer. Slowly fry the onions and chillies over medium heat. 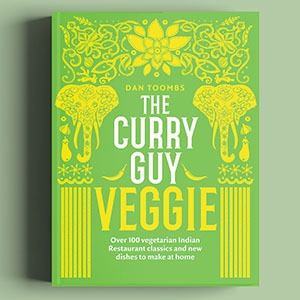 Stir in the garlic, curry leaves and remaining ground spices. Then mix it with the crab meat. 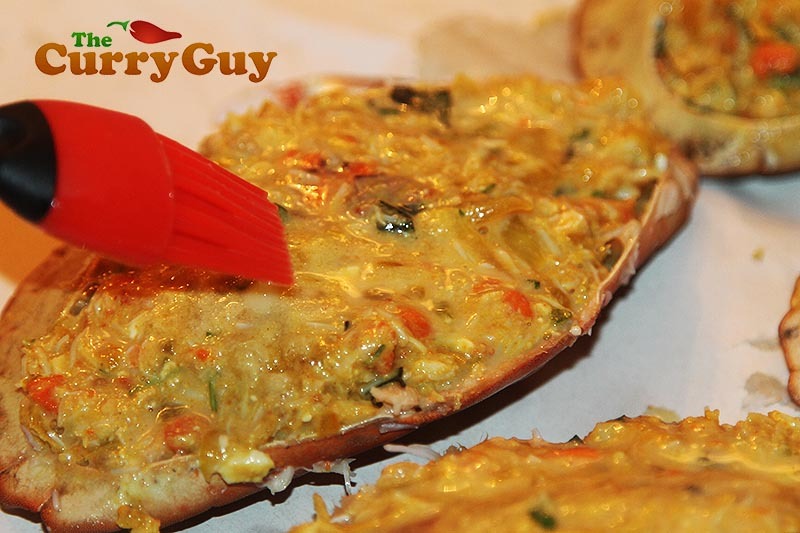 Stuff the crab shells with the masala crab meat and brush lightly with the egg wash.
Dust each crab with about 1/2 tbsp semonlina and then drizzle each with 1/4 tbsp butter. 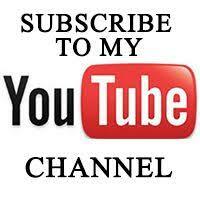 Bake in a 200c (400f) oven for 15 – 20 minutes or until heated through and toasted on top. Pre-heat your oven to 200c (400f). Heat the oil over medium heat in a large non-stick frying pan. 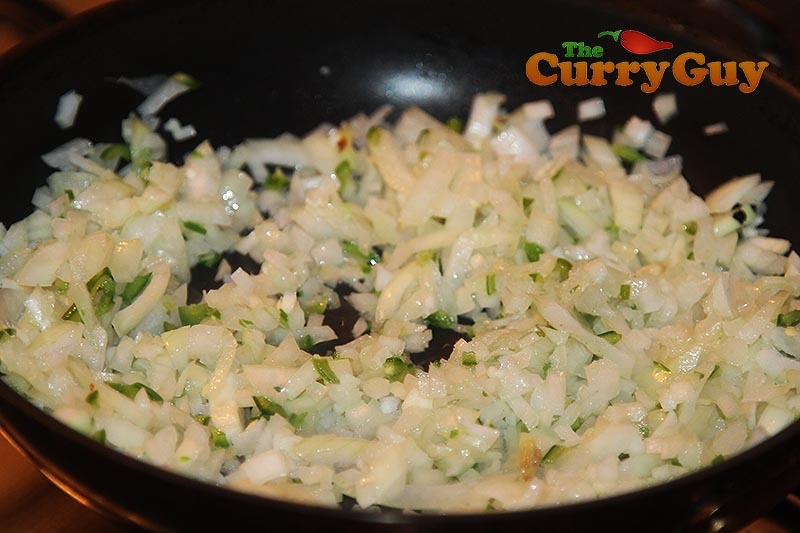 Add the finely chopped onions and fry, stirring often until soft and translucent. About 8 - 10 minutes should do it. As we are using a small amount of oil, you will need to watch the onions carefully so that they don't burn. 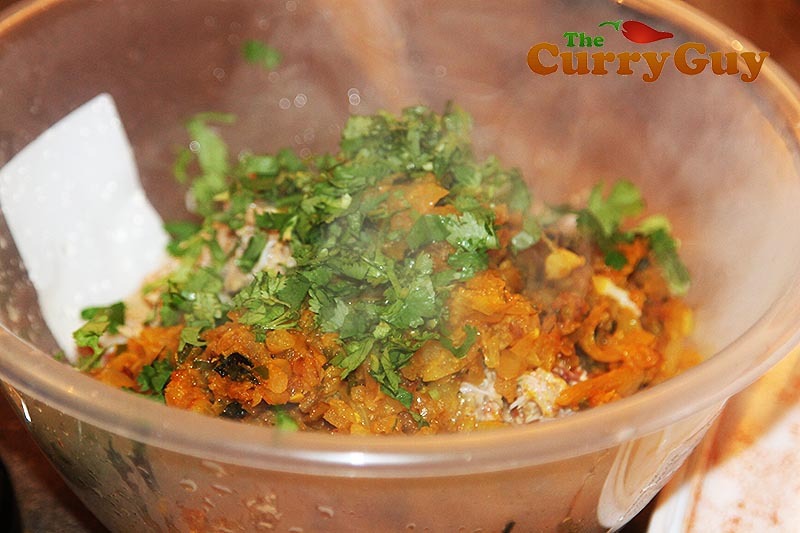 Stir in the green chillies, curry leaves, garlic and the ground spices and stir to combine. Fry for a further 30 seconds and the stir in the vinegar and chopped coriander. Taste it and add salt to taste. This is a good time to adjust spicing too so add more chilli powder to taste if you want to and/or more vinegar. Remove this masala from the heat and pour it into a large bowl to cool. Add the crab meat from the shells and stir in all up well. 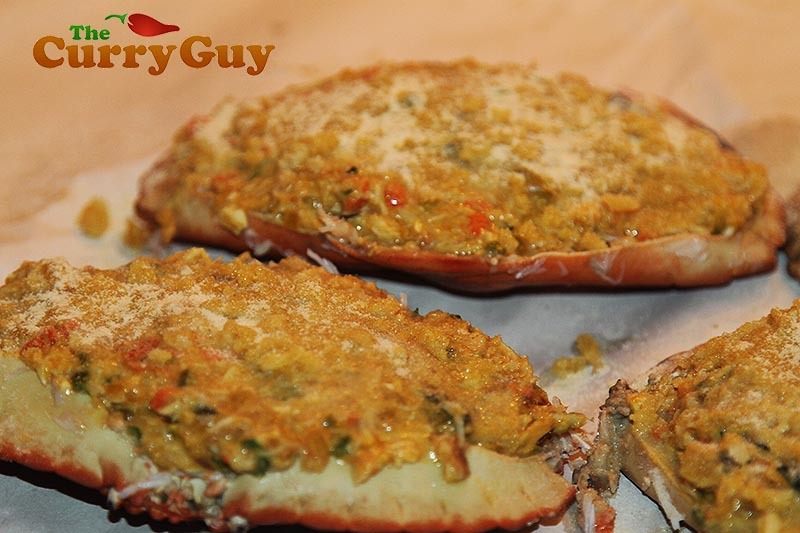 Transfer this masala crab meat in equal amounts back to the crab shells. Melt 1 table spoon of butter in the pan. Lightly brush each of the crabs with the egg wash. You won't use anywhere near as much as you have. Sprinkle each equally with the semolina and drizzle the butter over the top. 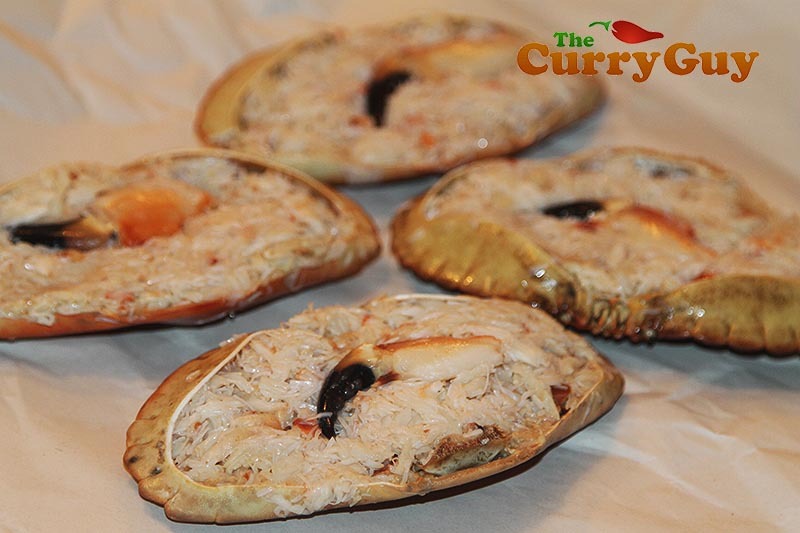 Place the crabs on a baking tray in the centre of the oven and roast for 15 - 20 minutes or until heated through and lightly browned on top. Serve immediately.